Nielsen’s ouster fits with a pattern of Trump forcing out officials who have pushed back against his more radical instincts or been unable to carry them out, or who have earned his ire for being unwilling to match his defiance for governing practice and convention. They include former Secretary of State Rex Tillerson, ex-Attorney General Jeff Sessions, former national security adviser H.R. McMaster and former chief of staff John Kelly. Yet there is also a more fundamental reason for Nielsen’s departure that gets closer to the heart of Trump’s behavior and political strategy than almost all of the many, previous exits from his administration. Nielsen’s demise is the clearest indication yet of the impossibility of reconciling Trump’s ideological and emotional instincts on immigration — which helped make him President — with legal, humanitarian and international realities. 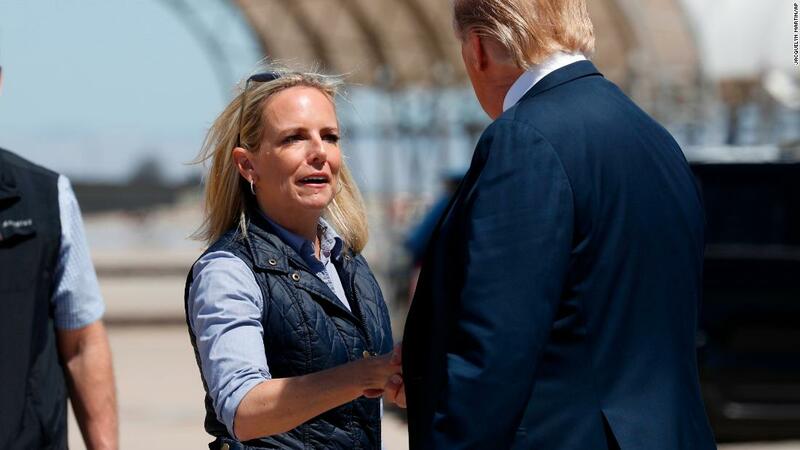 Nielsen “believed the situation was becoming untenable” with Trump “becoming increasingly unhinged about the border crisis and making unreasonable and even impossible requests,” a senior administration official told CNN’s Jake Tapper on Sunday. Her departure mirrors that of former Defense Secretary James Mattis last year, whose authority was shredded by a sudden, and apparently spontaneous announcement of a Syria withdrawal by the President, but who had gradually grown apart from his boss. In both cases, the complexity of serious policy problems, often in life or death situations, clashed with the political instincts of a President who abhors detail and prefers to govern from the gut, while ignoring conventional expertise — even from subordinates that in no way could be considered moderates. 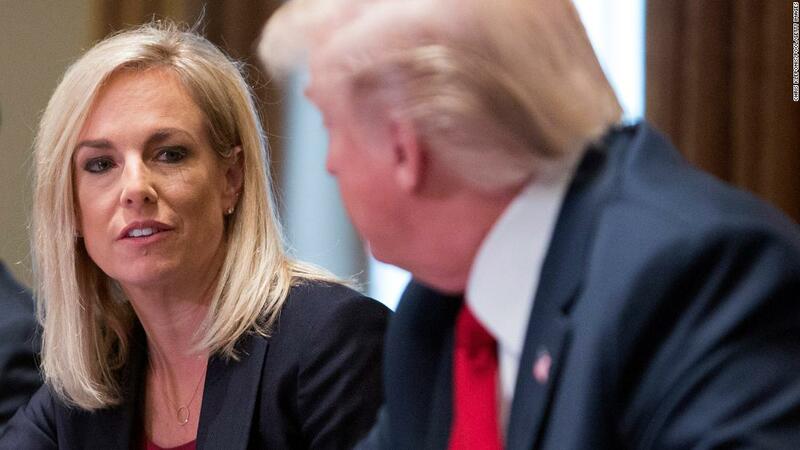 As the crisis on the US-Mexico border worsened, Trump’s tolerance for Nielsen snapped. And the President might also have gone looking for a scapegoat. Last week, he was forced to climb down on a public threat to close the southern border after officials, business groups and political leaders warned of a pending economic disaster if he went ahead. He covered his blushes by going on a tear on immigration, with some of the most unconstrained rhetoric on the issue ever heard by an American president, that was scorching even by the standards of Trump himself. “Can’t take you anymore. Can’t take you. Our country is full … Can’t take you anymore, I’m sorry. So turn around. That’s the way it is,” Trump said in a message to asylum seekers during a trip to the border on Friday. A day later, Trump mocked those fleeing persecution seeking a better life in the United States, portraying asylum seekers as criminals and gang members, rather than the families Nielsen described in a CNN interview last week. “Asylum, oh give him asylum! He’s afraid!” Trump said. Nielsen’s departure, confirmed in a tense White House meeting with Trump on Sunday afternoon, came after days of speculation and was in retrospect a logical consequence of the President’s boiling frustration. He had been dissatisfied with Nielsen for months, though their relationship appeared to improve marginally during the government shutdown that spanned the turn of the year and turned into another political reverse for Trump. Speculation about her status ballooned last week, after Trump suddenly declared that he would halt hundreds of millions of dollars in aid to Honduras, El Salvador and Guatemala, accusing them of sending migrants to the US border. 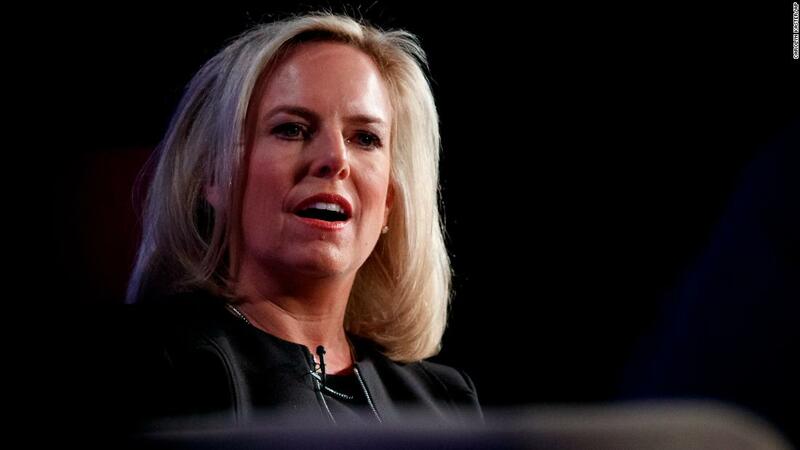 The move utterly undercut Nielsen who had just days before signed what her department called a “historic, regional compact” to tackle undocumented migration at its source. Immigration experts said that the aid cutoff would ultimately make the situation far worse as it would exacerbate the deprivation and lawlessness in Central America that is a key driver of migration and asylum claims. 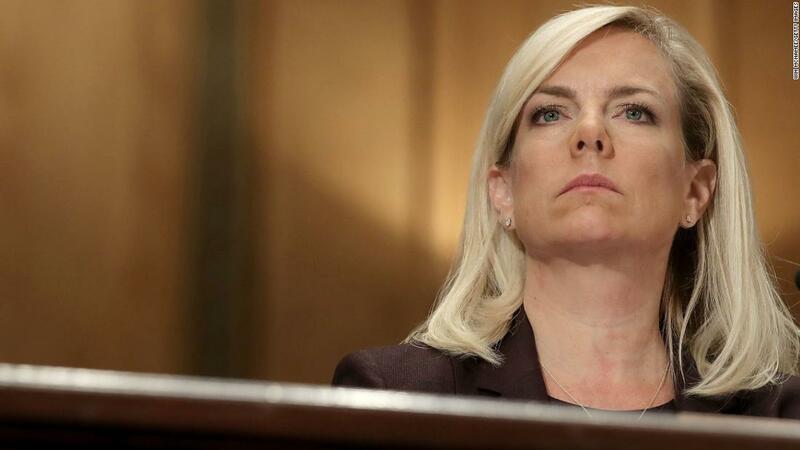 Nielsen’s departure comes as more critical moments loom for the administration that are likely to test Trump’s equilibrium at a time when he is already furious about the border situation. When he was not fulminating about immigration over the weekend, he was lashing out at special counsel Robert Mueller and Democratic demands that all of his report should be released. Attorney General William Barr, caught between an angry President and Democrats in Congress after finding there was no evidence to support election collusion between the Trump campaign and Russia, has pledged to release a redacted version of the report by mid-month. The White House is also trying to escape a self-imposed snafu over health care policy after sending confusing signals of whether the President wanted a new bid to replace Obamacare before or after the 2020 election. And this week, the administration is expected to significantly escalate tensions with Iran by against throwing caution to the wind by designating the Islamic Revolutionary Guard Corps as a terrorist organization, a move some in the defense and intelligence communities fear could expose US personnel in the Middle East to reprisals. Cuomo to DHS Sec: Why’s Trump viewing fencing, not kids? As he seeks to manage the immigration crisis, the President now has a chance to insert a like-minded replacement in what in the wake of Nielsen’s departure looks like an increasingly impossible job. Trump has already signaled that he will make immigration a centerpiece of his 2020 re-election bid and has every political incentive, since he is basing his hopes of a second term on energizing his base, to turn up the heat on the issue. The new secretary will also face the same limits as Nielsen. As much as Trump rages against asylum claims, they are codified in US and international laws that he in practice cannot just disregard. He recently found out that his preferred, dramatic solution of just closing the border would cause a swift and massive economic backlash that in itself could harm his hopes of winning a second term. The President is already pushing his power to the limit, and possibly beyond it by seeking to use a national emergency declaration to redirect money already allocated by Congress for other projects to the border wall that was at the symbolic center of his 2016 campaign. For all his fiery speeches, it is difficult for Trump to argue that his hardline approach on immigration is actually working. After years of declines, the tide of asylum seeking and undocumented migrants crossing the border has climbed dramatically. The White House says US Customs and Border Protection engaged in more than 100,000 border enforcement actions in March — the most for one month in more than a decade. It argues that Trump has reassigned customs officers to the border and directed them to return as many migrants as possible to Mexico to wait for immigration proceedings on the southern side of the border. But ultimately, there will be no solution to the border problem and the chronic glut in the asylum and court systems, without action by Congress. 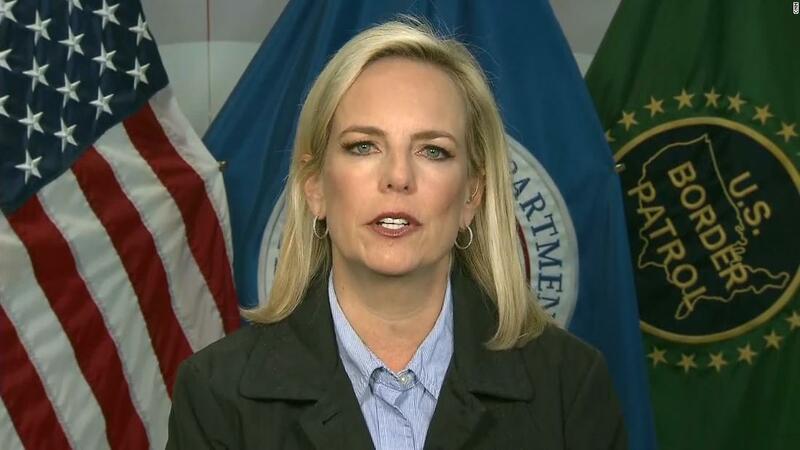 Nielsen did “everything she could to make the problem better,” a senior Department of Homeland Security official told CNN’s Geneva Sands on Sunday. “Worst place for you to be is where you need Congress to act,” the official said. The White House wants asylum law tightened and the power to detain families traveling with children — a practice Democrats have branded inhumane. Trump named Kevin McAleenan, the commissioner of US Customs and Border Protection, as acting replacement for Nielsen at the Department of Homeland Security. McAleenan is not seen as an ideologue and served former President Barack Obama — so there must be considerable doubt about how long he will also be in the post — but he has less problematic ties with Congress than Nielsen. Attempts at reaching a broad political solution on the border have been complicated by Trump’s choice to use immigration as a rallying call for his base and his adoption of rhetoric that stains any political common ground. He has several times pulled out of immigration deals with Democrats that might have helped mitigate the situation at the border apparently because he feared a backlash from his most fervent supporters and cheerleaders in conservative media. Democrats complain that the so-called master of the art of the deal wants to win on all his immigration priorities while offering nothing in return — for example a path to legal status for people brought to the US illegally and who are protected by the Deferred Action for Childhood Arrivals (DACA) program. They also argue that his rhetoric is incompatible with the founding principles of a nation built on immigration. “When even the most radical voices in the administration aren’t radical enough for President Trump, you know he’s completely lost touch with the American people,” Senate Minority Leader Chuck Schumer said Sunday, remarking on Nielsen’s departure. Yet while there is evidence that Trump’s flame throwing commentary on immigration hurt Republicans in swing districts and helped Democrats win the House in midterm elections, Trump’s warning that the US is under assault by marauding caravans of immigrants is widely backed by his supporters. That’s why ultimately, even Nielsen, who was reviled on the left over the family separations policy and attempted to shape the President’s instincts into a workable policy always seemed doomed. Trump has shown that he will always, eventually side with the themes and voters that powered his political rise even faced with insurmountable political and practical obstacles.